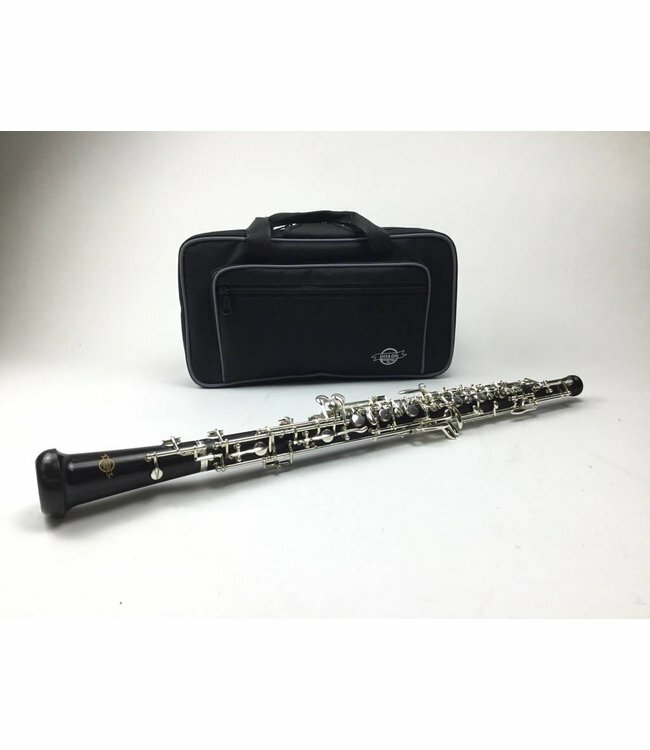 Finally, an affordable oboe with all the keys and features you need! Unstained Grenadilla wood for a durable, warm tone. Composite wood Upper Joint. Unstained Grenadilla wood for a durable, warm tone. Metal lined tenon sockets add strength to the joint, helping to protect against cracks. Full conservatory key system, range to low Bb, suitable for advanced playing. Semi-automatic octave keys, including a 3rd octave key. Low Bb resonance key for improved tone and intonation. F# key tab for an easier reach. Cork pads will last longer and seal better. Blue steel springs to provide a faster, more sensitive key response. French pochette case with cover and shoulder strap.